More than three dozen animals were rescued from disturbing conditions - and all it took was a single call from a concerned citizen to save them. 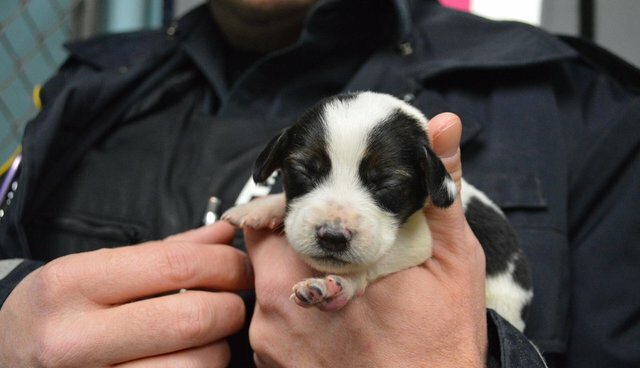 The Oakville & Milton Humane Society (OMHS), along with local police, raided a suspected puppy mill on Feb. 13 in Ontario, Canada. What they found was shocking: 28 dogs and 10 rabbits caged outdoors with no protection from the frigid weather on one of the coldest days of the year. The temperature was so cold that the water in their bowls had frozen and two animals had perished before help even arrived. Working through the night, the rescuers collected each of the animals and sent them to get the attention they needed after their lifelong ordeal. 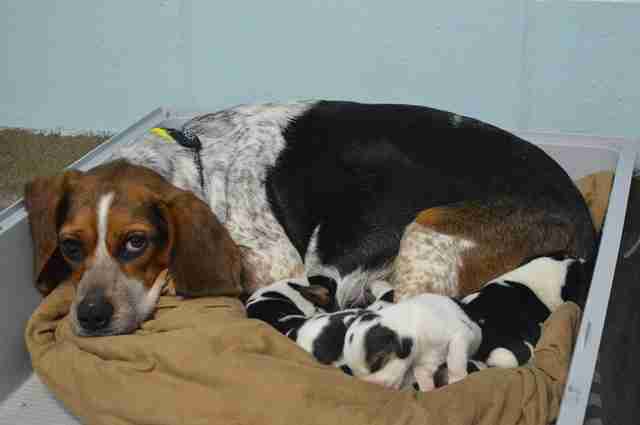 "Now they are safe and warm under our loving care" Kim Millan, the executive director for the OMHS, said in a statement. Getting them to safety couldn't have come at a more crucial time: A litter of fragile puppies was among the rescued animals, and four other dogs are pregnant and expected to give birth soon. As the animals continue to recover in the caring hands of OMHS staff, charges are pending against their former owner. Puppy mill operations like this one, where dogs (and other pets) are forced to repeatedly give birth only to have their offspring sold away too young, put profits over animal welfare - but all too often they go unreported. This recent rescue, authorities say, is a perfect example of why people should speak up. "We would like to encourage the public to forward any concerns for animal neglect," said agent Laura Mackasey from the Ontario SPCA. "Because in this case, 38 animals were saved from just one phone call." To learn more about puppy mills and how to report one, visit the Humane Society's website.